Boston — The Baker-Polito Administration today announced that Vineyard Wind was selected by the Commonwealth’s Electric Distribution Companies to move forward to contract negotiations as part of the offshore wind energy procurement authorized by An Act Relative to Energy Diversity, signed by Governor Baker in 2016. The ultimate procurement of 800 megawatts (MW) will represent the largest single procurement of offshore wind by any state in the nation. Today’s announcement is an important milestone for an initiative that will ultimately spur economic development along the coast, ensure a resilient energy future for the Commonwealth and secure progress toward greenhouse gas reduction requirements. In order to ensure the development of offshore wind off the Massachusetts coast does not negatively impact the environment and the Commonwealth’s fishing industries, the Baker-Polito Administration has supported several offshore wind-related studies and continues to work with a Fisheries Working Group (FWG) created to ensure the commercial and recreational fishing industries are able to provide input into the federal permitting process related to offshore wind. Additionally, the Administration has communicated directly with the Department of the Interior and the Bureau of Ocean Energy Management that the siting process for wind turbines in federal waters must include consideration of natural resources and important marine ecosystems and industries. Furthermore, the Administration will work with partners and stakeholders to establish a Southern New England Fisheries Science Panel on Offshore Wind. The panel would be comprised of respected scientists from New England to assist in the development, collection, evaluation, and peer review of scientific information relevant to the development and operations of the wind and fishing industries; identify key informational needs; and make recommendations regarding studies, surveys and monitoring that will assess key environmental and industry interaction issues. Per statute, a competitive solicitation was announced through issuance of the RFP on June 29, 2017 for 400 MW to 800 MW per year, which represents approximately 2.7-3% and 5.5-6% of Massachusetts’s total annual electric load. 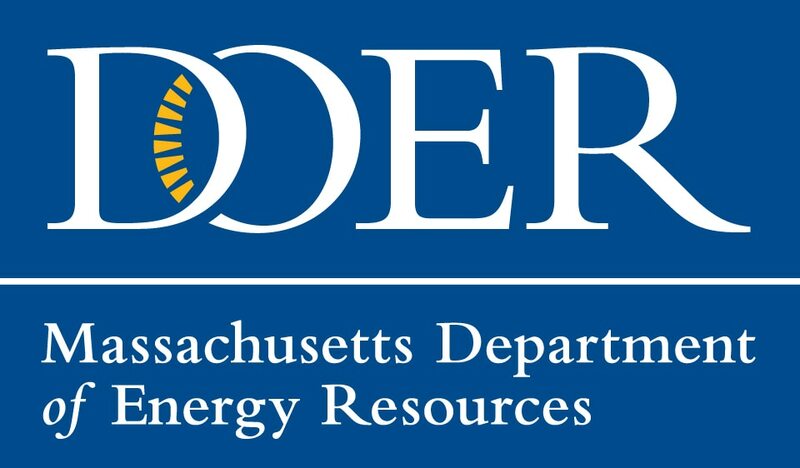 Today’s selection of projects concludes a thorough review by the Department of Energy Resources, Eversource, National Grid and Unitil, which was closely monitored by an Independent Evaluator, jointly chosen by the Department of Energy Resources and the Attorney General, who was responsible for overseeing the process to ensure that all proposals were evaluated in a fair and nondiscriminatory manner. “Massachusetts is committed to leading the nation in offshore wind energy generation,” said Department of Energy Resources Commissioner Judith Judson. “This project reduces our dependency on fossil fuels while supporting the local economy and enabling us to create a clean, affordable and resilient energy future. This announcement builds upon the Baker-Polito Administration’s ongoing efforts to grow the Commonwealth’s clean energy economy and meet our greenhouse gas emission reduction targets. In August 2016, Governor Baker signed into law bipartisan comprehensive energy diversification legislation requiring utilities to competitively solicit and contract for approximately 1,600MW of offshore wind and approximately 1,200MW of clean energy. Under Governor Baker’s recently filed environmental bond bill, DOER would be directed to create a new clean peak standard for electricity suppliers to increase the usage of clean energy during periods of high, carbon intensive, and expensive electricity demand. The administration’s new solar incentive program, Solar Massachusetts Renewable Target (SMART), will support an additional 1,600 MW of solar in Massachusetts, nearly doubling the amount installed as of today at half the estimated pricing of existing programs.